Crooked teeth, a maloccluded bite and crowded teeth can all leave you feeling self-conscious about your smile. They can also increase your risk of experiencing certain dental health problems. Teeth that are uneven, crowded or gapped can be hard to keep clean, which means they may be more likely to accumulate plaque and tartar. A maloccluded bite can increase the risk of tooth grinding or TMJ disorders. If you have uneven teeth or an abnormal bite, our Los Angeles Invisalign provider can help. Many people do not receive dental braces as children. As adults, they may delay or avoid orthodontics because they are unwilling or unable to wear unsightly metal braces. 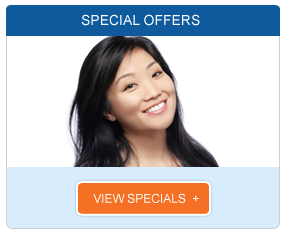 Invisalign provides an alternative. As a revolutionary orthodontic treatment, Invisalign is designed to straighten your teeth with virtually invisible aligners. Made of smooth plastic, they fit comfortably much the same way a mouth guard does, and they are unlikely to irritate cheeks and lips the way metal braces can. They are removable, which means you can continue to enjoy your favorite foods, and your teeth will be easier to keep clean without any need for special tools. 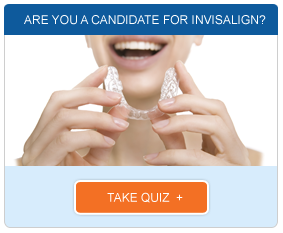 If you are a candidate for orthodontia, our Los Angeles Invisalign provider can help you learn more about your options, which may include Invisalign. These clear aligners are most appropriate for older teens and adults, those whose jawbones have finished growing, individuals who are willing and able to fully comply with the treatment requirements and those who have mild to moderate misalignments or malocclusions. We will create a treatment plan that helps you stay on track during treatment. A series of dental impressions and computer images will be used to create the aligning trays that you will need to change every two weeks. Regular checkups can be beneficial to evaluate your progress and give our dentist an opportunity to make adjustments as necessary. Invisalign clear plastic aligners can help you achieve a straighter, healthier smile without the discomfort and appearance of metal braces. Contact our dental office today to learn more or to schedule your consultation with our expert in Invisalign in Los Angeles.